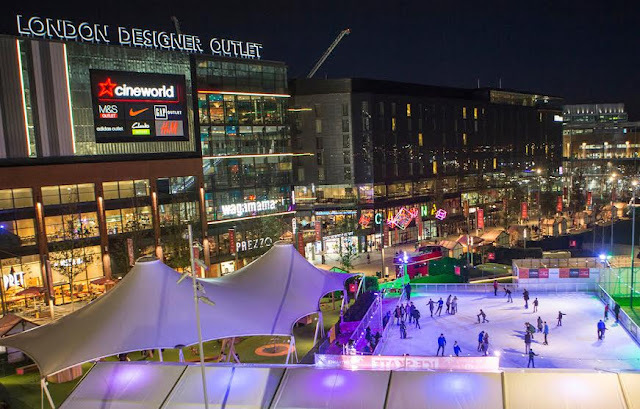 The festive season is well under way at London Designer Outlet located at Wembley Park. London's ONLY outlet centre is by far, the ultimate one-stop Christmas destination! You can save up to 70% on your Christmas gifts by purchasing items from 50 of the best high street stores, whilst enjoying an array of family entertainment and giveaways taking place during the festive period! Make your way to LDO, where there is fun for the entire family. 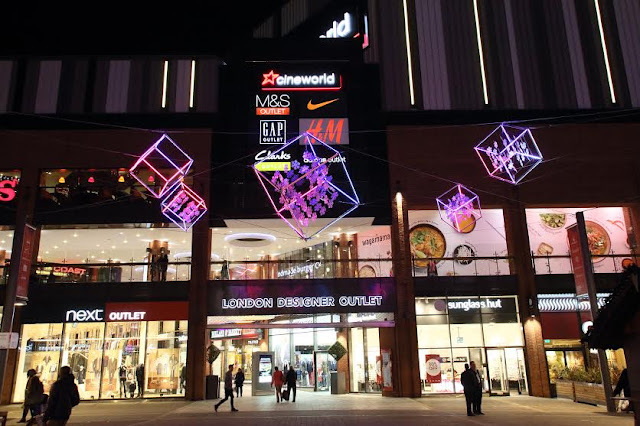 London Designer Outlet is the perfect place for a spot of shopping, grabbing something to eat or drink, catching a film at the 9 screen Cineworld cinema and keeping the kids entertained at the state-of-the-art children’s play park! Win Prizes - Make Christmas Wishes Come True! Being the ultimate one stop shopping destination this Christmas, London Designer Outlet is making Christmas wishes come true, all you need to do is post your Christmas wish list in the special Santa Post Box next to LDO's giant Christmas tree for the chance to win a Christmas shopping spree worth £200! Plus four runners up will each win a voucher to spend within the outlet! Fill out the competition form which is available from Guest Services and pop it in Santa's post box. Winners will be notified by 21st December*, and don't forget I have a voucher to giveaway to one of my readers to win a £50 voucher for London Designer Outlet! Have Fun: Ice Skating, Traditional Funfair and Free Play Park! Don't forget to take a break and enjoy yourself whilst shopping for Christmas gifts! With a whole heap of entertainment, you'll be spoilt for choice whilst trying to think of what to do first! Skate on the ice rink next to Wembley Stadium and ride on six traditional funfair attractions including a Helter Skelter, Ferris Wheel, Carousel, Santa's toy rides, Santa's tea cups and Santa's penguins! Both the ice rink and funfair are open daily until the 3rd January from 11am until 9pm, however the last Skate is at 8pm! For younger children, let them enjoy London Designer Outlet’s free Play Park, right next to the ice rink, open daily excluding Christmas Day! Until 23rd December, enjoy some warming street food on Wembley Park Boulevard, the market opens every Thursday through to Sunday, from midday until 10pm! London's only outlet centre is guaranteeing shoppers a white Christmas this year, it will be all over LDO's Retail Square at the start of every hour from 11am until 5pm daily between the 14th-24th December! Win a £50 Voucher Right HERE on Unique Young Mum! Do you fancy getting your hands on a £50 voucher to spend at London's only designer outlet? Well here's your chance! The prize has kindly been supplied by London Designer Outlet, which has more than 50 outlet stores, (including Adidas, New Balance, Next, Nike and H&M) offering up to 70% off the high street price all year-round with more than 20 restaurants and cafes! To enter the competition to win a £50 voucher, enter via the Rafflecopter below! · Check out London Designer Outlet on Facebook, Twitter and Instagram or their official website here! More terms can be found on the Rafflecopter widget. Visit www.londondesigneroutlet.com for further details.